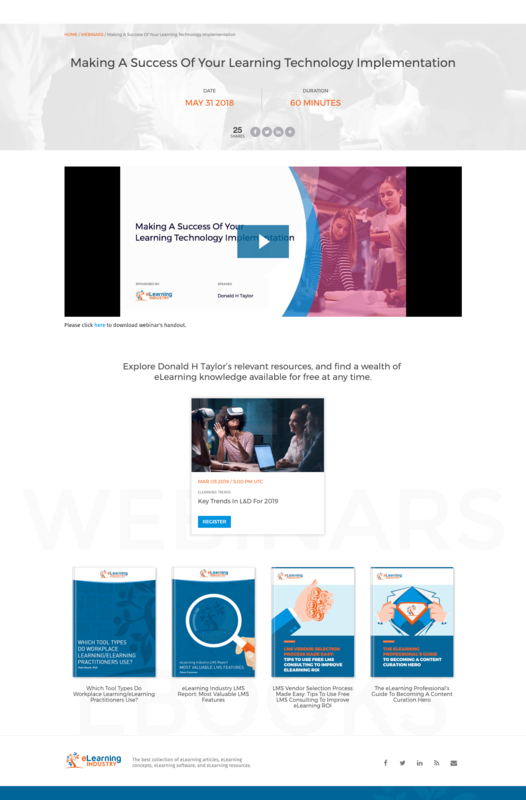 A co-branded Premium webinar with eLearning Industry will help you generate new leads and build up your brand’s credibility by leveraging our massive audience of eLearning professionals. Your effort is minimal, as you only need to pick a topic for the webinar and choose a member of your team to present the live session. We will handle all promotion and production, provide a professional coach for your presenter who will also facilitate the webinar, and even provide technical support to your audience as needed. To further qualify attendees, you will be provided with profiling questions and a polling system. Leverage our expertise in setting up and promoting webinars in the eLearning niche. Access full registrant profiles and contact information. Generate net-new leads outside your circle of influence. Continue getting traction after the end of the webinar. Enjoy hassle-free, full technical support, production and promotion management provided by our experts. Get a direct Adobe Connect Link to your online webinar recording. Gain access to both our speaker coach and our facilitator for rehearsals and the main event. You should fill the webinar storyboard (within 5 business days), including the title of the webinar, its description, the presenter’s bio, the lead information you would like to retrieve from the webinar registration form and other relevant information. 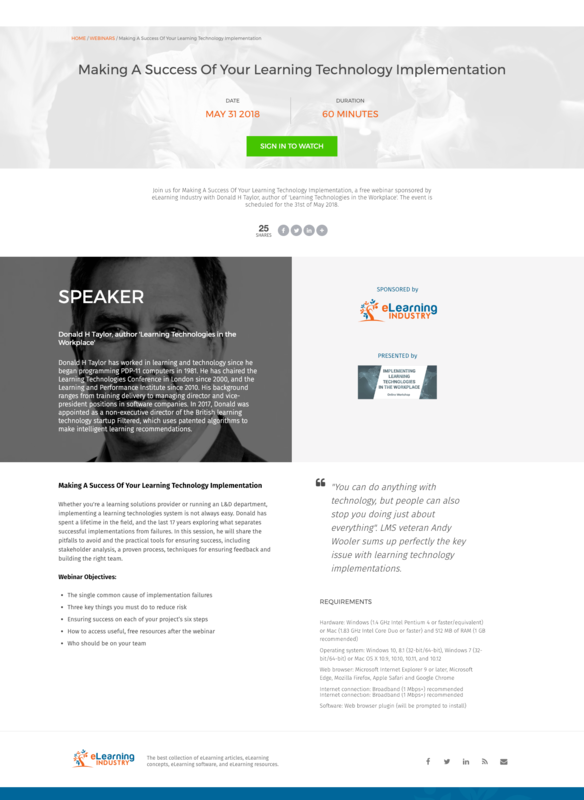 We will set up a specific landing page for your webinar on eLearning Industry. We will host the live event and provide the technical infrastructure needed to ensure its success. Within 24 hours of after the live event takes place, we will provide you with the complete contact list of attendees' and registrants' information; including some attendee metrics, poll data, chat transcript and feedback results. Within 24 hours after the live event takes place, your webinar will be available for users to register and watch on demand.